Proceedings of SOFSEM 2019: Theory and Practice of Computer Science. Springer, 2019. Proceedings of the 30th IFIP International Conference on Testing Software and Systems. Springer, 2018. Proceedings of the 8th ACM SIGSOFT International Workshop on Automated Software Testing. ACM, 2017. Proceedings of the 7th IPM International Conference on Fundamentals of Software Engineering. Springer 2017. Proceedings of the 2016 International Conference on Software Quality, Reliability, and Security. IEEE, 2016. Proceedings of the 20th International Conference on Evaluation and Assessment in Software Engineering. ACM, 2016. Scientific Workshop Proceedings of the XP2015. ACM, 2015. The article resulting from the Research Internship 1 titled "Considering Polymorphism in Change-Based Test Suite Reduction" was accepted in RefTest 2014. You can find the abstract below. The full preprint version can be found here. The final publication is available at link.springer.com. With the increasing popularity of continuous integration, algorithms for selecting the minimal test-suite to cover a given set of changes are in order. This paper reports on how polymorphism can handle false negatives in a previous algorithm which uses method-level changes in the base-code to deduce which tests need to be rerun. We compare the approach with and without olymorphism on two distinct cases —PMD and CruiseControl— and discovered an interesting trade-off: incorporating polymorphism results in more relevant tests to be included in the test suite (hence improves accuracy), however comes at the cost of a larger test suite (hence increases the time to run the minimal test-suite). The report for the Research Internship 2 titled "Literature Survey on Mutation Testing" can be found here. You can find the abstract below. Mutation testing is one of the leading methods of testing the test-suites. In this article we review the literature about mutation testing in order to provide a guide for a developer who wants to design a mutation testing framework. We explore the diverse nature of mutation operators as a main ingridient to any mutation testing framework, and also discuss the features of the tools developed in the past decade. The abstract for the Master's Thesis is provided below. In order to assess the ability of a test suite to catch bugs, a quality metric is needed which can simulate realistic situations. Mutation analysis provides this metric with a reliable and repeatable approach. However, because of the computationally intensive nature of mutation analysis and the difficulties in applying such a technique to complex systems, it has not been widely adopted in industry. This study aims to determine the feasibility of using this technique on an industrial case, and to find out if the information gathered by this method is worth the performance costs. 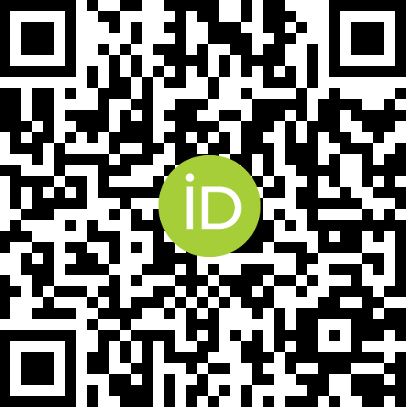 You can download the tool developed for the thesis (LittleDarwin) here. The final thesis report is available here. 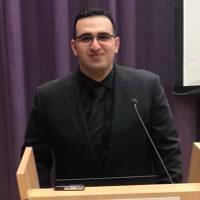 Ali Parsai is a graduate researcher in software testing. He started programming at the age of 8 with qBasic. He finished his bachelor's degree in Khaje Nasir University of Technology in Computer Hardware Engineering. He then attended University of Antwerp to study Computer Science. He has professional experience in software development for embedded systems, and is fluent in C, C++, Java, and Python. He has also worked as the head of the marketing team in Pishronovin Co. for 3 years. Great teamwork spirit, and powerful communication skills are a part of his repertoire in any task.